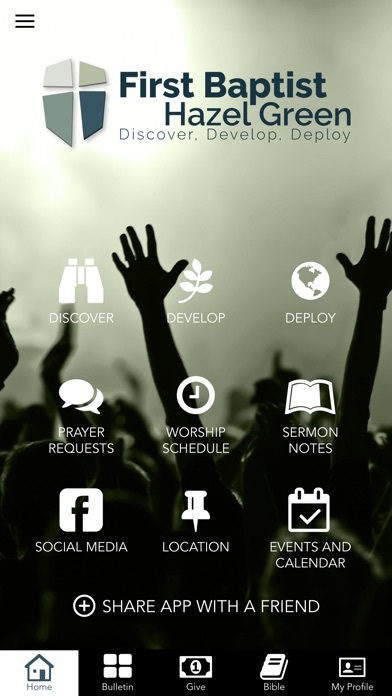 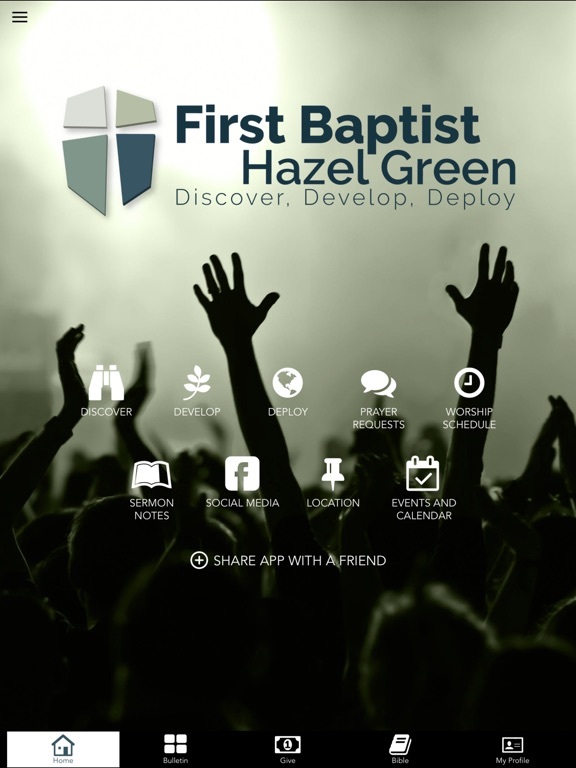 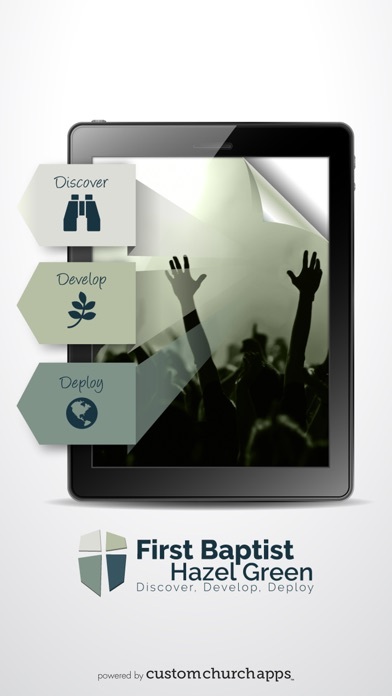 The official app of First Baptist Hazel Green, intended to enable people to glorify Christ by making disciples who DISCOVER God's goodness through worship, DEVELOP into the likeness of Christ through personal and small group Bible study, and DEPLOY by taking the gospel to our neighbors and the nations. -Facebook: You can share a Bible passage, journal entry or anything in the app with one click. 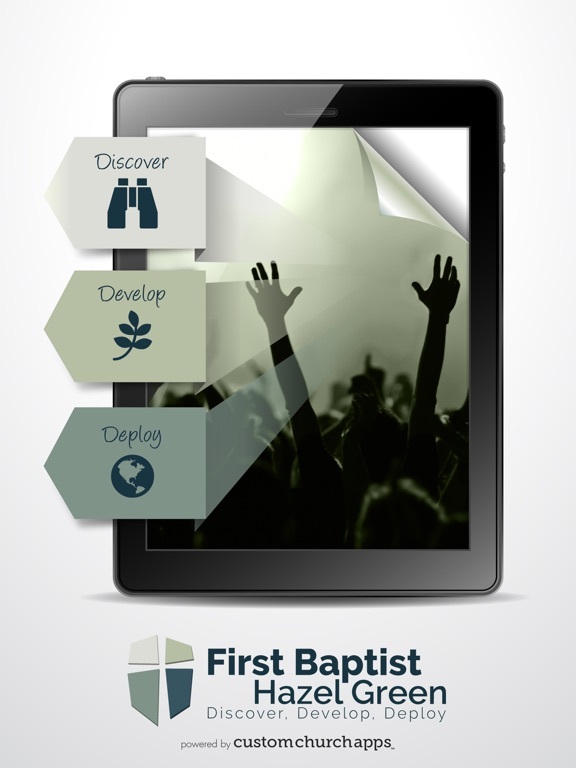 -Twitter: You can tweet a Bible passage, reading plan, journal entry or just a note with ease. * Cloud Based Journal: Your Pursue Journal is accessible online anytime at www.PursueJournal.com. This allows you to be able to add entries anywhere, anytime and they are automatically linked to your FBHG app.